Located in the spectacular Central Oregon Coast golf community of Waldport, Crestview Golf Club is a beautiful,scenic 9-hole course with a friendly, family atmosphere. 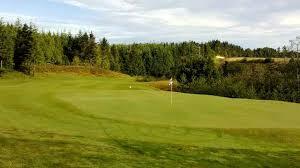 This Waldport golf course has four tee options and exceptional Greens with unique challenges that will appeal to all levels of ability. Crestview is easy to walk, is playable year-round and open from dawn to dusk.